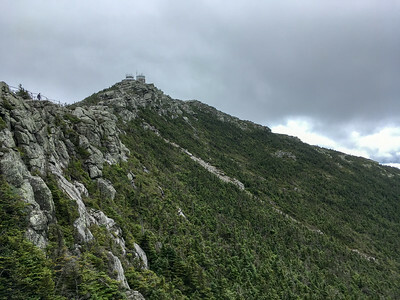 I climbed Mount Esther and Whiteface Mountain to complete my Adirondack 46er peaks; Mom and Dad drove to the summit house on Whiteface to join me in celebrating. 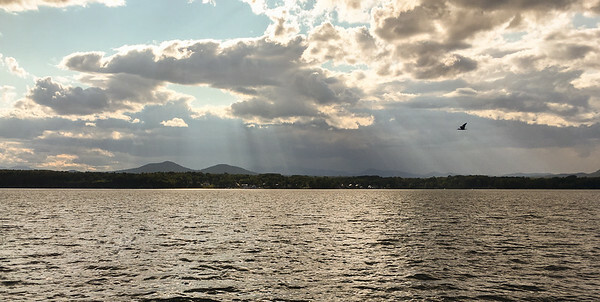 Essex NY and the Adirondack Mountains from the Lake Champlain Ferry. 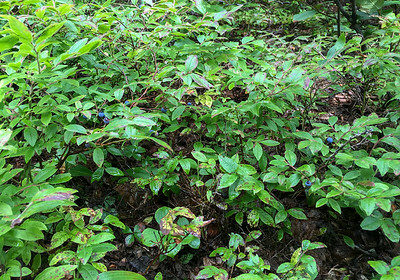 A small blueberry patch on the Whiteface trail. 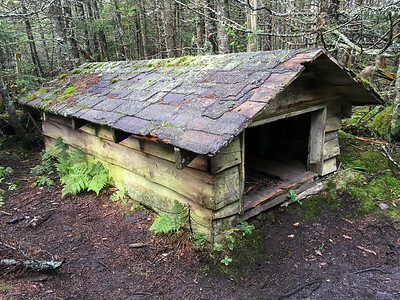 The old "toboggan shed" - perhaps 3 feet tall - along the trail to Whiteface. 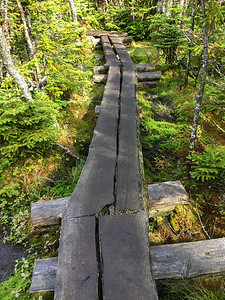 For an "unmaintained trail" to Esther, this is a pretty nice bog bridge. 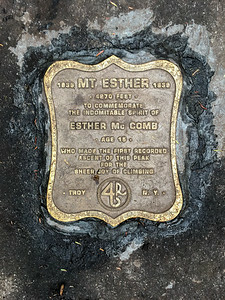 Memorial plaque on the summit of Mount Esther. The view from Mount Esther, in the clouds - sigh. 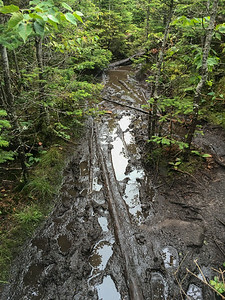 The trail to Esther can get pretty soggy. 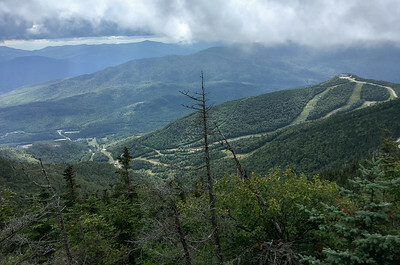 A view of the Whiteface ski area from the trail. 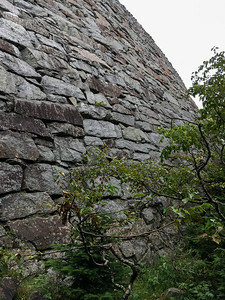 The trail hugs this huge stone wall - perhaps 30' high - for a few hundred feet. 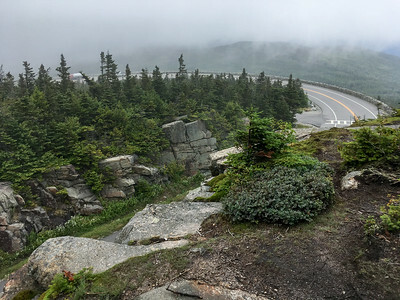 The trail proceeds on high cliffs above a hairpin turn on the Whiteface road. 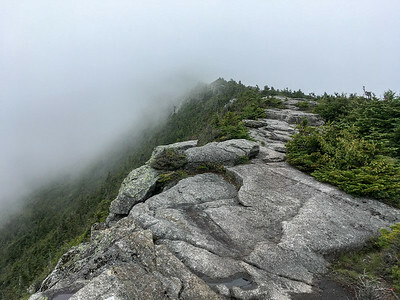 Approaching the clouded summit, the trail follows a rocky ridgeline. 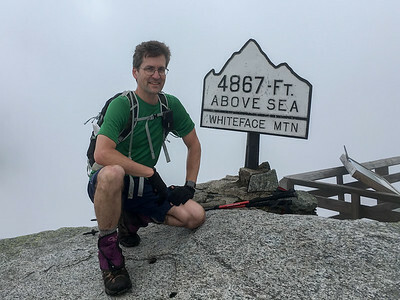 David summits Whiteface Mountain, for the second time, to make it "count" for his 46. 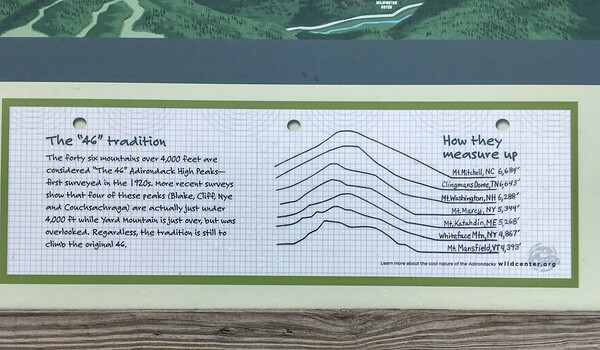 An interpretive sign at the summit of Whiteface Mountain. 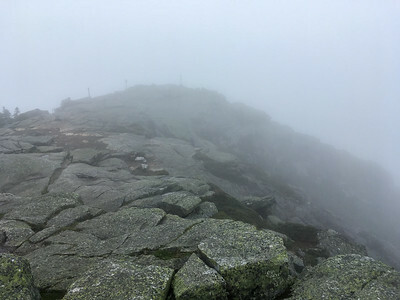 The summit of Whiteface Mountain is shrouded in cloud. 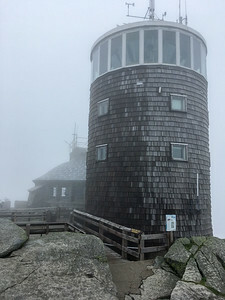 The weather station and warming hut on the summit of Whiteface Mountain. 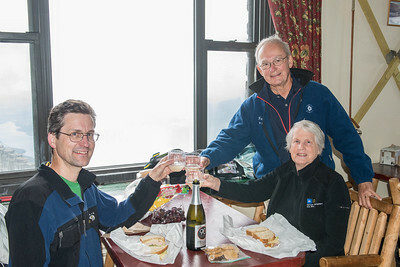 David celebrates his 46th peak with Mom and Dad at the Castle restaurant on the summit of Whiteface. 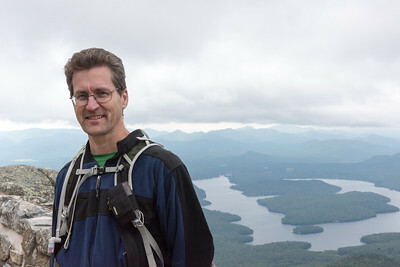 David celebrates his 46th peak near the summit of Whiteface, with a view of Lake Placid at rear. 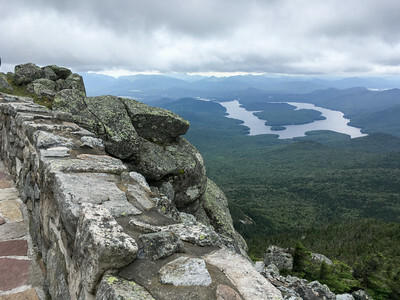 A view of Lake Placid from the walkway near the summit of Whiteface Mountain. 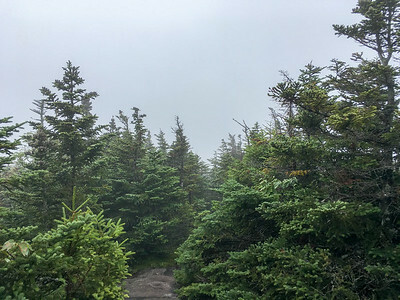 The clouds lift long enough for a view of the summit from the walkway leading from the parking area. 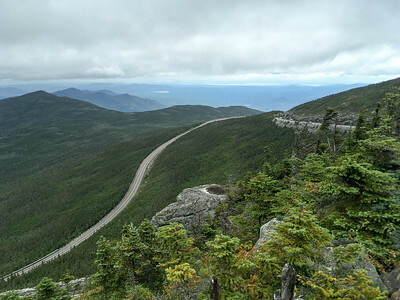 A view of the Whiteface Mountain Road, from near the summit. 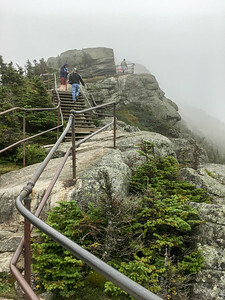 Steps lead from the parking area to the summit of Whiteface Mountain. 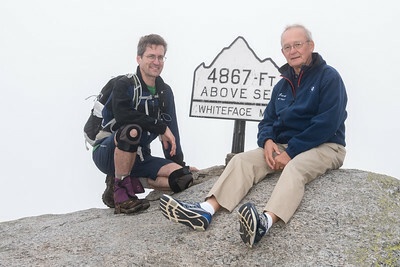 David celebrates his 46th peak with Dad on the summit of Whiteface.